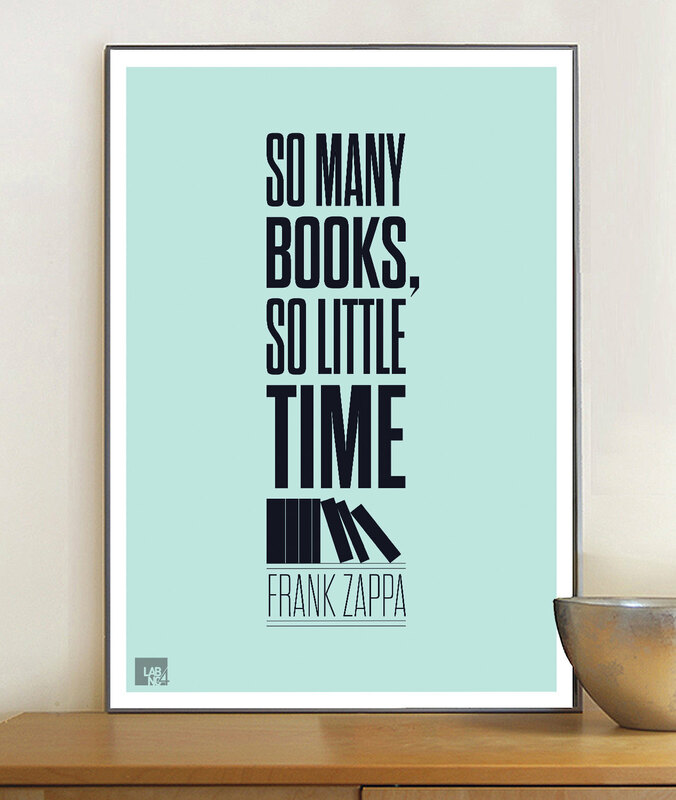 Are your bookshelves overflowing with unread books? Here are some reflections to inspire you to consider doing some weeding, and one technique for deciding what you might let go of. Deirdre Saoirse Moen accumulates a lot of books from conferences she attends, which leads her to run out of shelf space. When she goes to cull, she has an interesting approach; she does a quick read of page 1 and page 119 to decide if a book is worth keeping. 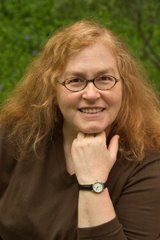 Her blog post shows that when she did her May 2013 culling, 21 books got a yes to both pages; 8 were OK on page 1, but not page 119; and 18 got a no on page 1. Some people are plagued with guilt about the books they've left undone. They either unhappily force themselves to finish once they start, or they consciously decide to move on and feel like quitters for doing so. Reading is not about the chore of finishing a book, it's about pleasure, regardless of the type of pleasure we expect from reading (some want a challenge, some want a good story, some want to look smart). 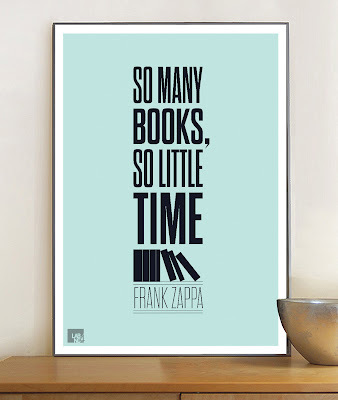 How many of my books have I already read? ... I am a little shocked to discover that on any given shelf, I seem to have read ... only about one-third of the books. That leaves around 3,300 unread books. If I read one book a week ... but you and I know that I don’t read one book a week, I read a couple a month, grazing in a few others. If I read two books a month, it would take me 137 years to read those unread books. ... I am not going to live for 137 more years, and therefore I do not have enough time left to read the books I own. 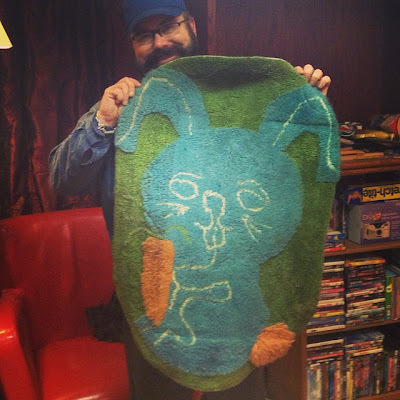 Mike Mozart's bunny rug from his childhood — not stored at his parent’s home! Photo from Flickr, licensed under Creative Commons. Lots of people wind up storing things that aren’t their own. I know people holding onto things that are their children’s — which might make some sense if the children were in college or in their first small apartments, but these children are now 38 and 40. When such choices are made freely and space is abundant, these may be wise and generous gestures. When they intrude on your own flexibility or peace-of-mind you have every right to say “No!” You do not owe square footage to anyone else. You do not need to agree to store anything for anyone. If this thing is so important to someone else, why is it sitting in my basement? Whose life am I living here — my own, surrounded with the thing I love and cherish, or someone else’s, cluttered with the things they cannot or will not remove from my space? In just about all cases, if and when the children ever do come to reclaim their stuff, their lives have usually changed so much since leaving home that a good percentage of it turns out to be of no use or interest to them any more. Each week, photograph a few items your child has left in your care in their eternally rent-free family storage facility, and send the images to them by email. Include a message explaining that you need the space, and you will be disposing of these items by the end of the week unless they can give you a date in the not-too-distant future when they will come home and collect them. If you do not hear back from them by the end of the week, jettison them in any way you see fit. … Then go ahead and send another batch of photos, and keep going, week after week, so they get the message that you really are serious about this. Abraham Chachoua, oncologist, NYU Langone Medical Center. Photo by Kate Bornstein, used with her permission. Kate says: Real good guy, beloved by patients, nurses, docs. Allan Gurganus tells of meeting a woman who collected ancient shoe buckles. He was 16; she was much older. Some people obviously get a lot of pleasure from their collections. For example, there’s a story in The New York Times about Bonnie Mackay and her collection of 3,000 or so Christmas ornaments. And each ornament has a story. That Raggedy Andy on the tree is the first ornament a friend gave her; she had lost tracks of the friend, but the ornament kept his memory alive, and a few years ago, using the Internet, she was able to find him in Hawaii. It’s interesting, she says: no friend has ever given her an ornament she has not loved. She has a great feeling of peace looking at her tree. Figurines of characters I have performed on stage. They run a gambit from Charlie Brown to Papageno to Old Deuteronomy … just to name a few. Your collection does not take up so much space that it impairs the normal functioning of your home. Because your collection reflects your life, you’ve taken the time to arrange the pieces to complement the beauty of your home. You might be able to sell a few pieces for a profit but you’re not counting on it for your retirement savings plan. 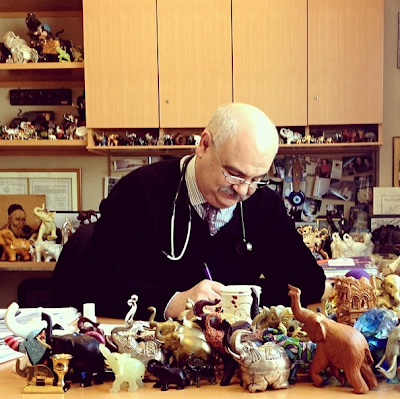 Dr. Chachoua’s office was once sparse, he explains, until years ago when a patient placed a small elephant statuette on his desk, assuring him it would bring good luck. Another patient showed up later with an elephant to put next to the first. A third patient who noticed the first two brought one back from a trip. Patients kept bringing more elephants, crowding Dr. Chachoua’s desk and shelves so that he had to build a new set of shelves to contain the spillover, followed by yet another set. Today, Dr. Chachoua explains, the elephants are an element of the care his patients receive, however small. “It gives them a chance to talk about something other than cancer for a few minutes,” he says. Now there’s a benefit from collecting that’s unlike any other.